3/4" Wiide. Inside Out Lanyard with J-Hook. 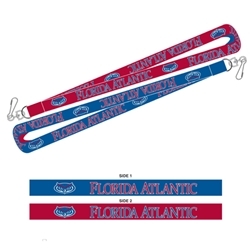 Fully embroidered graphic design on both sides of lanyard with j-hook. Made in the USA. One color combination on front, reversed color combination on back.